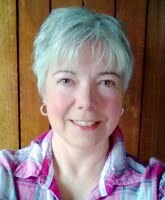 My name is Carolyn Boyd and I am Owner and Head Trainer and Behaviourist. I am a full member of the Institute of Modern Dog Trainers (IMDT), Institute of Modern Dog Trainers - Behaviourist (IMDTB) and the Pet Professional Guild (PPG). My interest in dog training started in 2002 when I started agility with Molly, a very bouncy two year old poodle x beardie. From then I was hooked. I found that agility was mentally stimulating for my dogs and for me, good exercise, sociable and most of all was great fun. My interest in dog training stemmed from there as I realised what a fantastic bond I had developed with my dog. In 2005, I fenced off about 2 acres of our fields, bought my own set of equipment, started running small classes and the training has grown from there. We now run agility classes from Starters to Advanced as well as one to ones. Through dealing with energetic and challenging dogs (and handlers!) at agility training, my work expanded to other dog training classes and one to ones. In 2013 I became a full member of the IMDT and PPG. Membership of the IMDT involves an intensive 2 day practical where you have to be assessed on classes, consultations, follow up and knowledge of the science behind modern dog training. In 2016 I become a full member of the IMDTB. Membership of the IMDTB involves a 3 day intensive assessment including practical and theoretical testing of behavioural knowledge. Continued professional development is very important for me so that I keep up to date with modern techniques. My experience grows every year, and I am always keen to learn and take on new challenges, all using reward based and scientifically proven methods. I work alongside other trainers I trust and mentor others. IMDT Happy Puppy Instructor, Happy Recallers, Happy Loose Leaders, Practical Instructor, Happy Trackers. Dog Taggs Tracking Foundation, Tracking Development, Stuff that gets your dog going and how to handle your way around it. Diamond Dog Training Agility Instructors Course. IMDTB (behaviour) Separation Anxiety, Consultation 101, Grumpy Dogs, Canine Aggression and Rehabilitation, Resource Guarding, Abnormal Repetitive Behaviours, Dog to Human Aggression, Impulse Control.